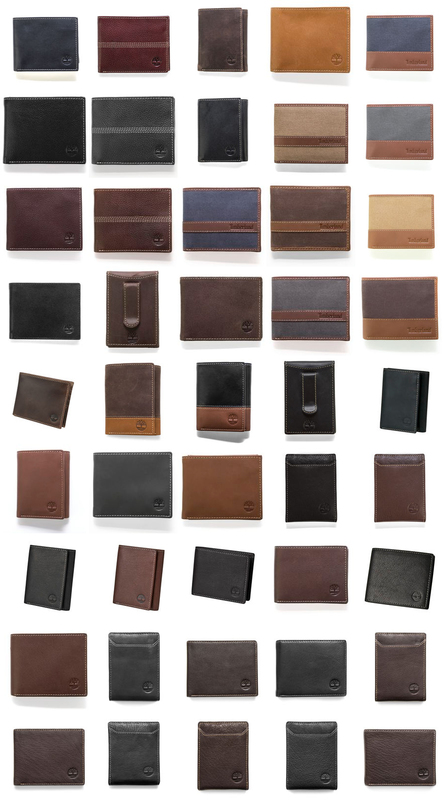 Timberland men's leather wallets assortment 48pcs. The assortment includes tri-folds, passcasses, slimfolds, flip-clips and square styles. Colors include black, tan, cognac, brown and gold. These wallets have an MSRP of $40-$55.